Michael Myers is getting ready to return to the big screen after a very long hiatus. Director David Gordon Green (Pineapple Express) was hired to direct the upcoming Halloween reboot earlier this year, with his frequent collaborator Danny McBride co-writing the script with him. Now, the director has offered a brief update, confirming that the plan is to shoot this fall and that John Carpenter hopes to score the movie. The news comes from Business Insider reporter Jason Guerrasio who is currently at TIFF where David Gordon Green is promoting his upcoming movie Stronger, which looks like it could be in the awards season conversation this year. Speaking with Guerrasio, Green revealed that the script for the upcoming Halloween movie is done and John Carpenter had given his notes on it. Here's what Guerrasio had to say about it. "Halloween update from #TIFF17: David Gordon Green tells me John Carpenter has seen the script, given notes, digs it. Still wants to do score"
John Carpenter gave his blessing to David Gordon Green and Danny McBride for this new Halloween movie, which is being produced by Blumhouse. Even though Carpenter won't be directing, he is still heavily involved and having him do the score will be a very nice touch. 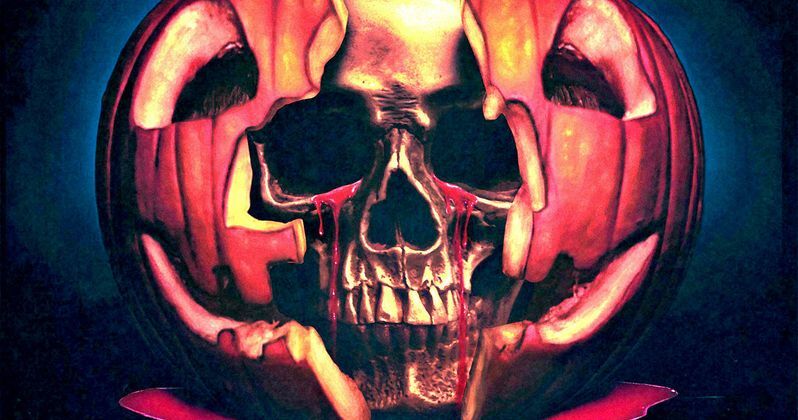 We had previously heard that the reboot was eyeing an October 19, 2018, release date, but Jason Guerrasio also revealed that, if all goes well, they will release the movie on Halloween night in 2018. "Planning to shoot this fall with an eye on a Halloween night opening in 2018." No solid story details on this upcoming Halloween movie have arrived, which Danny McBride has insisted is not a reboot. The movie will not do a hard reset, but will instead be ignoring much of the mythology of the later Halloween sequels and sticking mostly to the first two, which John Carpenter had a much heavier hand in. If they can get the story right, releasing a new Halloween movie actually on Halloween night could be a way for the franchise to have a massive relaunch. Seeing Michael Myers return in a proper way has a lot of appeal on its own, but this could be truly huge. No casting has been revealed for the movie yet, but if it is indeed going to shoot this fall, we should be getting some solid news on that front shortly. The last time we saw Michael Myers on screen was in Rob Zombie's Halloween II in 2009, which many fans of the franchise aren't overly fond of. By the time this Halloween reboot arrives in 2018, it will have been 20 years since Halloween H20, which was arguably the last good movie in the franchise and 40 years since the original arrived in theaters. The timing seems right and things seem to be moving along. Let's just hope they get it right this time around.